8th Sep, (Kharsang) Miao: The Teachers Day was celebrated in all the Schools in the Diocese of Miao on 5th Septmber 2013. The students in the Schools in Miao Diocese planned well in advance to celebrate this day to show their respect for their teachers. 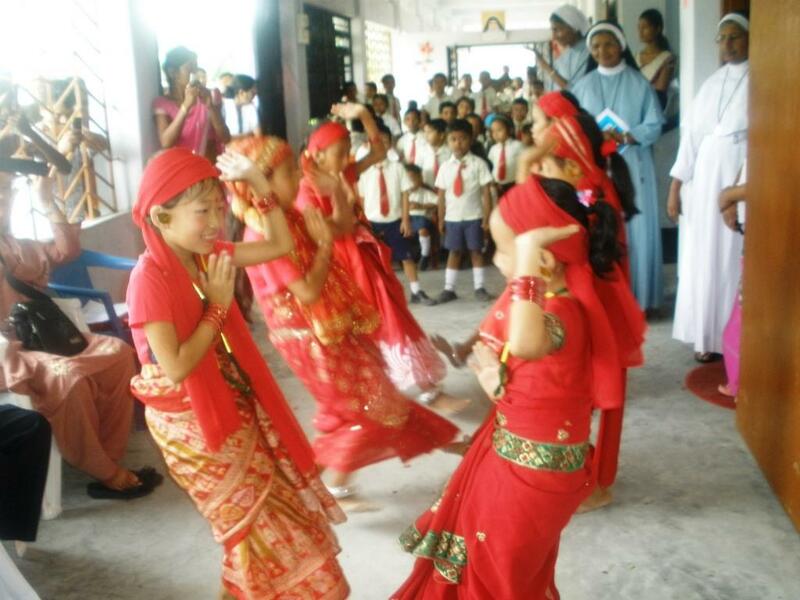 In Mother Theresa School in Kharsang the children celebrated this day with a variety of cultural items. Bishop George was the Chief Guest for the occasion. Speaking to the Teachers and Students, he said, “Teachers, please know that you play a vital role in shaping the future of these young mind. More than the parents, you are important to the children, because they spent more time with you in the school.” He also appreciated the students for their talents they exhibited by their singing. He also requested them to respect the teachers. Mr. Thomas Koopman, a Dutch National, who is here with us to make Documentary on the Diocese of Miao, also joined Bishop George for the occasion.